Do Gravity and Quantum Theory mix? Physics is often split into different fields to help us understand them. These range from Classical mechanics to Cosmology and include every area of physics research and understanding. Two of the most revolutionary fields in the last century are the fields of Gravity and Quantum Physics. Einstein famously revolutionised our theories on gravity with his publications on relativity. He alongside scientists such as Planck, Lorentz, Poincare and Michelson from the basis of our understanding of relativity and gravity. A few decades later de Broglie, Heisenberg, and Schrodinger among others built on previous work to formulate an approach known as quantum theory. While relativity, Newtonian mechanics and other similar fields dealt with the large scale machinations of the universe. The quantum realm was limited to the very small. Both fields were shown to be testable, robust and have formed a vital part of our physics understanding for many years. However, they have never quite matched up and worked nicely together. There appears to be a crossover point at a certain size that below which, things start to ignore Gravity and become governed by quantum mechanics. The exact nature of this changeover has confused and confounded scientists for many years but we may be getting closer to investigate this in more detail. 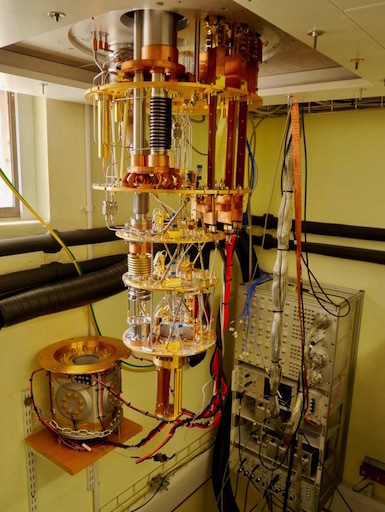 A group of scientists in Oxford have just finished designing and building a device that hopes to probe this mysterious boundary to give us a better idea of what might be going on. It will likely be a few months before results from this will be analysed and presented but these results could further help us understand the mysteries of the world around us. For more information about the device and the science behind it, visit the announcement article here.